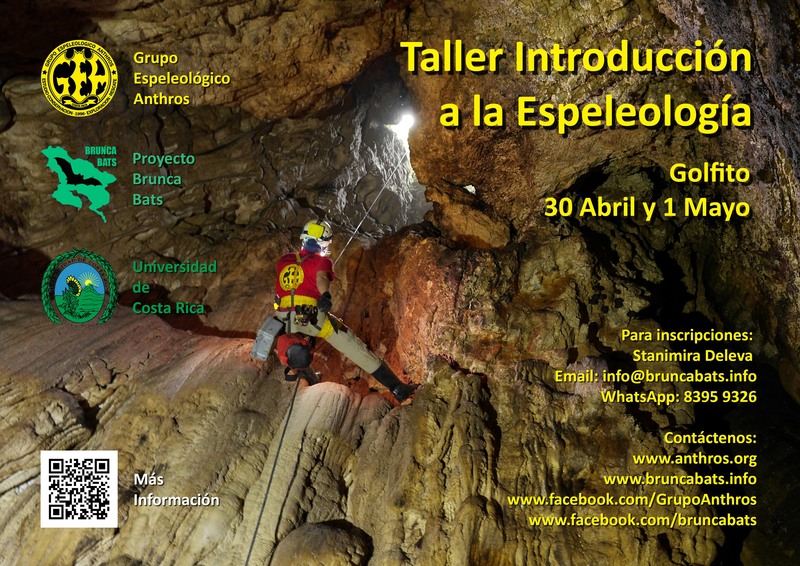 In collaboration with Brunca Bats project , Anthros Speleological Group is holding an introductory workshop to caving, aimed at the public, students and interested in learning about the underworld, who want to learn how to study and protect caves. Workshop will feature: Lectures given by national and international cavers , basic vertical practice on ropes and a visit to the Corredores cave. The workshop is aimed at adults and children older than 12 years accompanied by responsible adult.